HUNTER KILLER: a submarine designed to pursue and attack enemy submarines and surface ships using torpedoes. 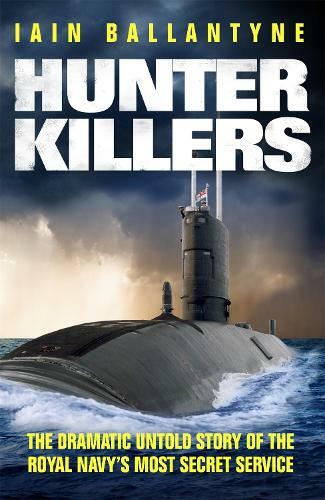 HUNTER KILLERS will follow the careers of four daring British submarine captains who risked their lives to keep the rest of us safe, their exploits consigned to the shadows until now. Their experiences encompass the span of the Cold War, from voyages in WW2-era submarines under Arctic ice to nuclear-powered espionage missions in Soviet-dominated seas. There are dangerous encounters with Russian spy ships in UK waters and finally, as the communist facade begins to crack, they hold the line against the Kremlin's oceanic might, playing a leading role in bringing down the Berlin Wall. It is the first time they have spoken out about their covert lives in the submarine service. This is the dramatic untold story of Britain's most-secret service.